Although bicycling and walking were not used extensively as travel modes before, they have been showing a fast increasing trend of being adopted and used for recent years according to transportation data. More people would like to bike or walk to commute, for exercise, or just for fun, due to the well-known health, environmental and economic benefits. This change is transforming transportation towards multimodal systems supporting a more livable, connected and sustainable city. During the transformation, some challenging issues on safety and mobility have attracted a great amount of concerns from communities, such as the safe pedestrian linkages, safe transportation network, efficient and well-maintained infrastructure for pedestrian and bicyclists, and many more on pedestrian and bicyclists. Traditional education and enforcement are important for walking and biking safety and mobility, which includes, for example, wearing equipment to protect bicyclists and make pedestrian or bicyclists more visible to others, riding bike responsibly to follow the rules for motorists, being focused and alert to the road and all traffic around, etc. However, both the number of crashes and level of frustration on biking and walking are still found to keep increasing for recent years and they are continuing to rise now, turning out that the current approaches and strategies are far from providing enough bicycling and walking safety and mobility. Various novel approaches have been called for to meet the requirements of a better safety and mobility by pedestrians and bicyclists. Particularly, the innovations of smart transportation technology or infrastructures have attracted much attention and interest. Smart multimodal transportation control system is one typical invention with the power greatly improving both safety and mobility, not only for the vehicle drivers but also for pedestrians and bicyclists. The smart multimodal intersection control is another example to help achieving a better biking and walking mobility and safety while without any significant interruption to the existing vehicle flow. These two different smart technologies focus on optimizing the control of a transportation system and of an intersection respectively. Vision based cyclist and pedestrian automatic counting system allows for automatic and human assisted data collection and analysis on cyclist and pedestrian, which is very helpful for understanding how to get more people to take up green transportation actively. Bicycle Stress Map has been developed to display traffic stress in a way that helps the public make decisions about where to bicycle in the Montgomery County of MD so they feel safe and comfortable. 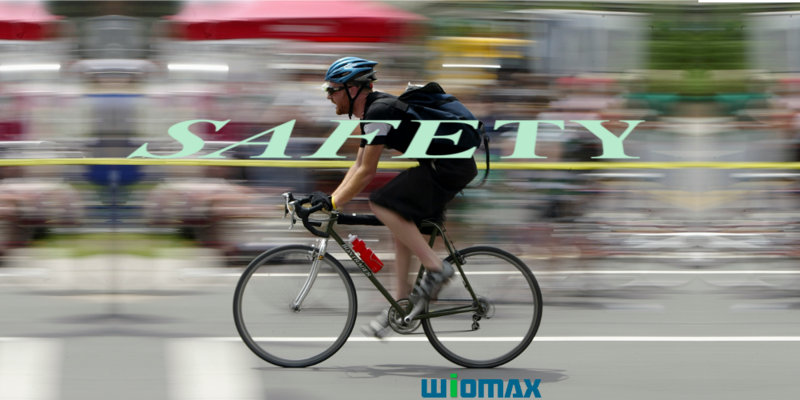 By providing alerts or information for a better focus, it makes bicyclists ride more defensively and predictably. In addition, it is a platform to involve communities to help building a safer biking system through contributing to the map with their known bike-road information or personal experiences. The digital tool can also help planner understand the impediments to bicycling and where changes are most needed as they develop the corresponding infrastructures and the 2040 Bicycle Master Plan. Innovations of smart transportation technology and infrastructure can bring a better safety and mobility for bikers and pedestrians, and this would promote more bike usage or walking as a part of the green intermodal transportation systems. Therefore, acceleration would be realized in the traffic mode shift towards reduced vehicle miles traveled and mitigated congestion and emissions.